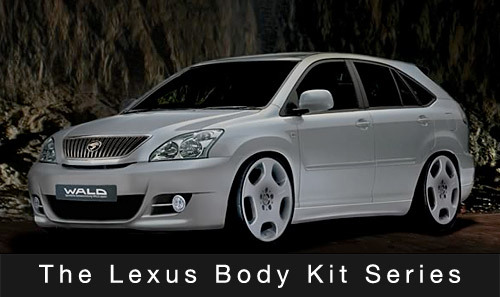 The second part of my Lexus Body Kit Series has been posted, this time with the RX 330/350/400h. There are some very interesting body kits for the RX, and most have the strange characteristic of making the vehicle look much smaller and car-like. I had to admit some surprise that Toyota themselves are in the game, with their Advanced and Impressive body kits. The vehicle barely resembles the base model, and I have a particular fondness for the replacement grille. I was disappointed in the image quality that I found. Why these body kit manufacturers don’t have print-quality graphics, I’ll never know. I’m in contact with the manufacturers, and will be working to replace the smaller images.